The new NE Campus president is targeted to be selected from three finalists Feb. 1 after candidates visited the campus. 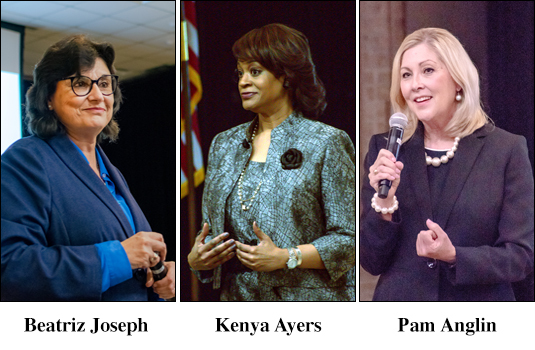 Pamela Anglin, Kenya Ayers and Beatriz Joseph each spoke at forums to give faculty, students and staff their reasons why they should be chosen as the campus’ next leader. In the community forums, the candidates were asked the same set questions which were compiled from faculty and staff submissions. The questions ranged from topics including opportunities for improvements at NE Campus, engaging students and the position’s challenges. Kenya Ayers is vice president of Northwest Educational Council for Student Success. Kenya Ayers was the first scheduled to speak at a day of forums. Ayers is currently the vice president and chair of the board for the Northwest Educational Council for Student Success in the Chicago area. Ayers said she engages students by showing up to student government meetings, other student events and being where they are. She joked about students showing up wherever there is free pizza. “It’s also inviting them into the agenda of the institution and not just taking for granted that ‘What we do is best for them,’” she said. When talking to students during her visit, Ayers said she learned about the needs of more specific student groups. 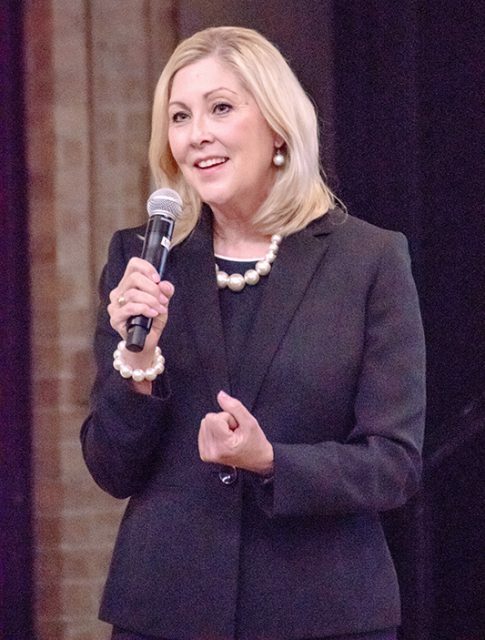 “I would love to have a dialogue with you [TCC community] about that and understanding better how you serve the needs of adult students,” she said. Ayers also described herself as introverted but not shy. There are experienced leaders in the system Ayers believe would support her through the challenges in a transition to the role of president. Beatriz Joseph is a vice president at Palo Alto College in San Antonio. Beatriz Joseph was the next candidate scheduled to visit the following day. Joseph is currently the vice president of college services for Palo Alto College in San Antonio. During discussions with students, Joseph said she learned they want improvements to technology as well as access to services. “They want to be able to get services at 2 o’clock in the morning,” she said. The school may not be able to provide every service but could possibly partner with an entity to provide it or at least connect students to these services, Joseph said. When it comes to engaging students, Joseph also joked about using free food to draw in students to events. It’s about setting up those events and opportunities for students, she said. “Students will come given an opportunity to feel comfortable, to share with you their ideas,” she said. In the role of campus president, she said learning the system would be her greatest challenge. She talked about her experience having done a variety of things on the academic, student success and administrative sides. “My biggest learning curve will be learning your processes, learning how the district operates,” she said. Patience from the TCC community during a transition to the role of president would provide the most support to her, she said. 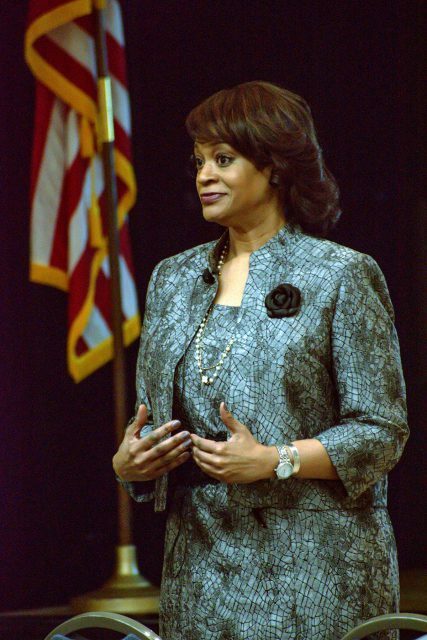 Pamela Anglin has been president of Paris Junior College since 2003. Pamela Anglin was the last candidate scheduled to speak. Anglin is currently the president of Paris Junior College. The resources available to the TCC district to implement programs along with a dedicated staff are some of the campus’ strengths, Anglin said. She said she takes an active role regarding student engagement and also has continued to occasionally teach classes over the years while in an administrative role. Anglin will appear in the upcoming production of The Hobbit at Paris Junior College. Anglin said she would embrace what the campus is currently working on in her role as president. “It kind of comes back to needing to get to know everyone and then just being able to work side-by-side and become a respected and valued team member in the district, in the college,” Anglin said. 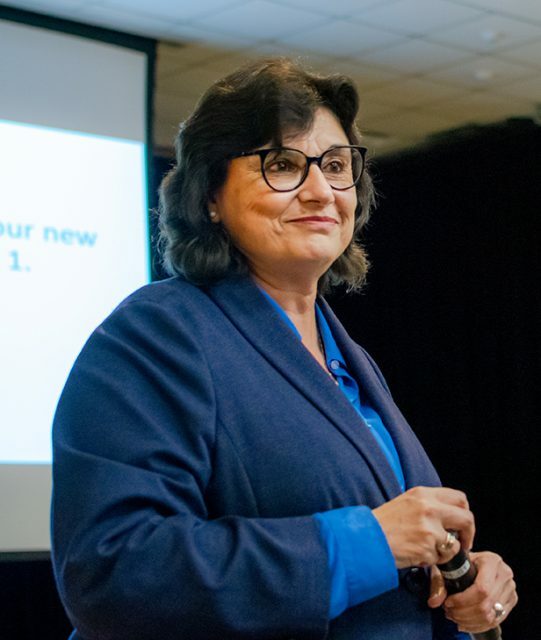 The feedback of the faculty, staff and students to offer a better understanding of the campus would provide the most support in a transition to president, she said.